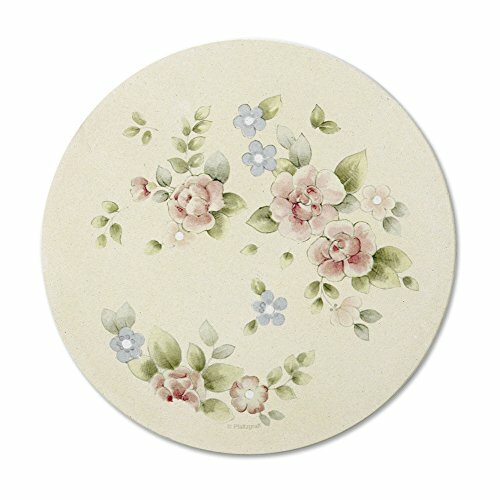 Pfaltzgraff Tea Rose Stone Trivet, 6-1/2-Inch by Pfaltzgraff at Jakis Cafe. MPN: 5062911. Hurry! Limited time offer. Offer valid only while supplies last. Trivets protect your table and table linens from more than hot pots. Use one under a coffee or teapot and two or three beneath the Lasagna Baker. 3dRose trv_243484_1 Cool Funny Moose Camping and Roasting Marshmallows Trivet with Tile, 8 by 8"
3dRose trv_268951_1 Luxury Trendy Gold Dark Teal Moroccan Arabic Quatrefoil Tile Pattern Trivet, 8" x 8"